You turn everywhere, software seems to be the perfect solution for your startup business. You are probably looking perfect trading software for your business. But have you yet considered the need for Escrow in your trading business? Escrow service is not just about safety. 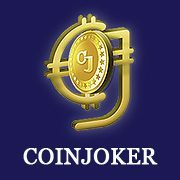 Coinjoker added escrow services to providing secure bitcoin transactions. Buyer and seller agree to the terms & conditions. Buyer pays to the escrow then seller notified & verified the buyer’s payment. After verification success buyer received the bitcoins from escrow admin. The seller can get the dollar from escrow admin. See Free Demo.. You will get a fantastic idea. it’s sure.